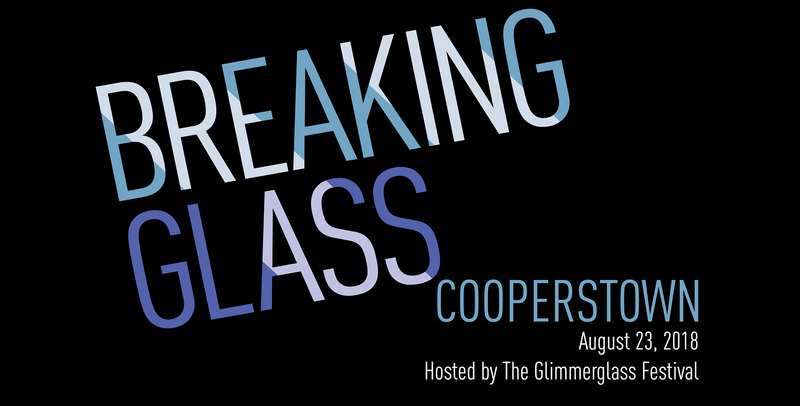 The Glimmerglass Festival presents its national forum series Breaking Glass: Hyperlinking Opera & Issues as it returns to its roots in Cooperstown after touring to Atlanta, New Orleans, Ann Arbor, Chicago and St. Louis in 2018. The forum opens a door to frank discussion about the role of art in stimulating public discourse about equity, diversity and inclusion in opera. For this special program within the Festival, the panel discussion will focus on opera and the inclusive audience and what is Breaking Glass? Librettist, director, choreographer and Breaking Glass podcast host Paige Hernandez of Stomping Grounds (2017 Glimmerglass world premiere) and composer Victor Simonson, along with Naomi André, author of the newly released book Black Opera: History, Power, Engagement, will explore the changing face of opera from the creation of new work to the casting of roles and talk about why programming for diversity is important for the future of the opera industry. Featuring music from Blue, a new opera by composer Jeanine Tesori and librettist Tazewell Thompson premiering on the mainstage at Glimmerglass in 2019, both creators will talk about the roles an audience plays in the success of new opera and how we can all be open to being engaged with art in new ways; and what roles social justice plays within the artistic mission of an opera company. Matthew D. Morrison, musicologist from the Clive Davis Institute of New York University, Tisch School of the Arts will moderate the discussion. The final two Breaking Glass national forums will be held in Washington DC on September 8 and New York City on September 15. The commissioning of Jeanine Tesori for BLUE received funding from OPERA America’s Opera Grants for Female Composers program, supported by the Virginia B. Toulmin Foundation. The development of BLUE received major support from the Andrew W. Mellon Foundation. The production of BLUE received funding from OPERA America’s Opera Fund, with additional support from The Amphion Foundation. BLUE is supported by New Music USA, made possible by annual program support and/or endowment gifts from Mary Flagler Cary Charitable Trust, New York City Department of Cultural Affairs, Helen F. Whitaker Fund, Aaron Copland Fund for Music, New York State Council on the Arts, Rockefeller Brothers Fund & Anonymous. Breaking Glass, a series of national forums and a related podcast with BLUE composer and librettist, Jeanine Tesori and Tazewell Thompson, is made possible by the Andrew W. Mellon Foundation (forums) and an OPERA America Innovation Grant, supported by the Ann and Gordon Getty Foundation (podcast).